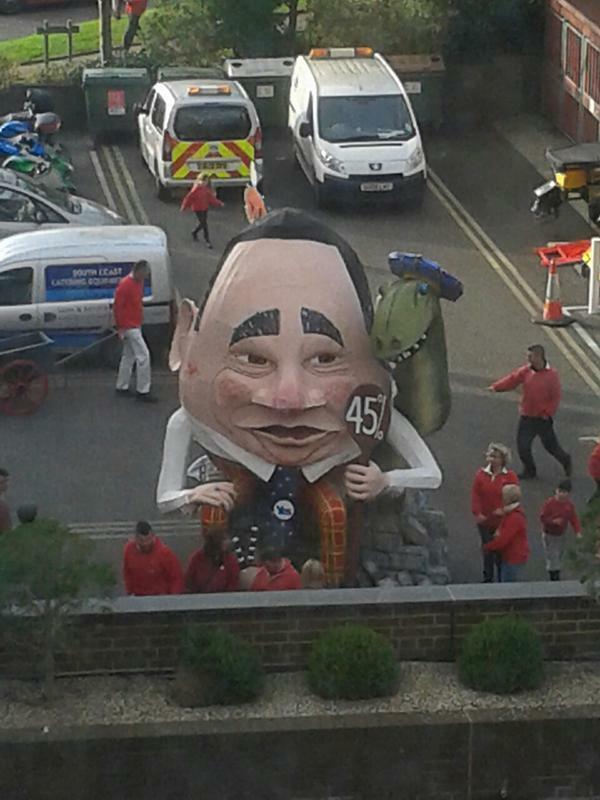 The First Minister has blasted English bonfire organisers – for wanting to torch “poor Nessie”. 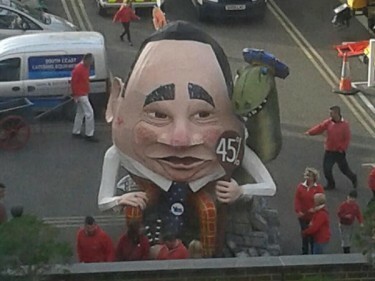 A picture of a super-size Alex Salmond and Loch Ness monster effigy has been posted on-line as a “sneak peek” for what will be burned at a bonfire celebration in Sussex tonight. 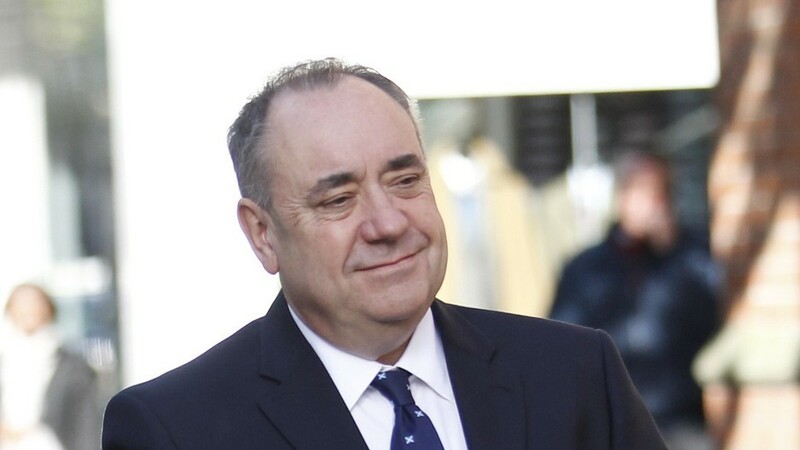 The monstrous creation has sparked on-line revolt from Salmond supporters, who have blasted the 45 percent reference painted on the figure. But Salmond has said it is typical of the “Tory-controlled” constituency, and that there was no need to target innocent Nessie. It is understood the dummy has been created by the Waterloo Bonfire Society. The photograph was originally posted on social media by East Sussex County Council – but it says it had no part to play in its creation. A spokesman for the First Minister said: “(They) obviously view the First Minister – and the 45% of Scots who voted Yes – as a big a threat to the Westminster establishment as Guy Fawkes, although it’s unclear why poor Nessie has been targeted.